The californian was built for you - a modern western family. This is the home whose functional design and rustic ranch like flavor invites you to relax and enjoy life. Over the years these beautiful homes have suffered abuse from severe weather, termites, and simply aging with normal wear and tear. 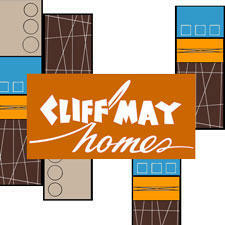 Many Cliff May Rancho's are in dire need of restoration, and that's Joe's Premium Paintings speciality. While these homes were originally built for function, we know now it's all about style.